This week is rich of watch novelties not just from the Salon International de la Haute Horlogerie 2015 but also from several independent watchmakers. 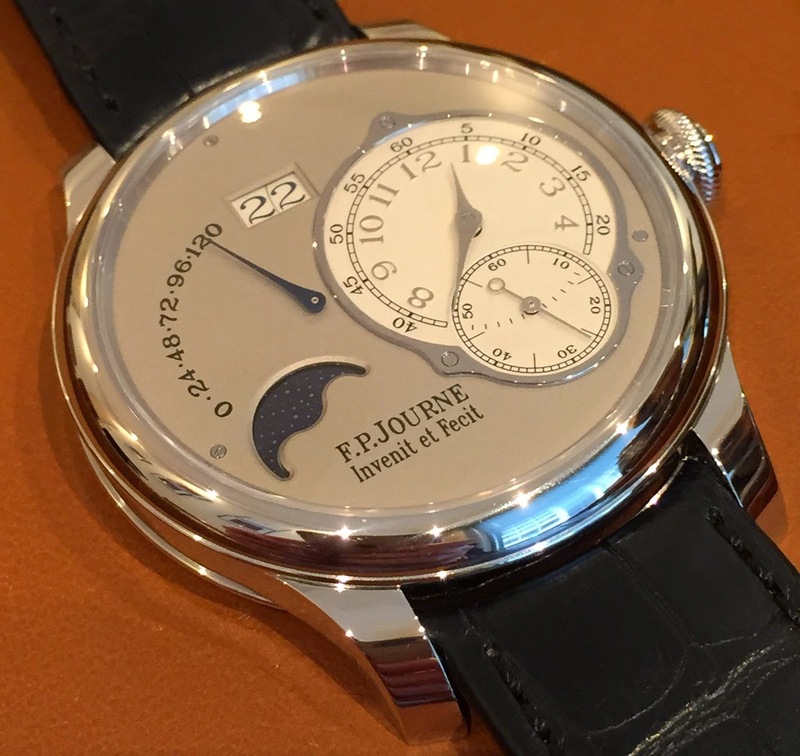 F.P.Journe presented the Nouvelle Octa Lune offering a more visible reading of the time and a date twice as large. The off centre hours and minutes dial, entirely made in 18K gold, now features embossed numbers surfaced with a diamond tool. The second dial features a very large date with instantaneous change at 11 o'clock, the retrograde power reserve indicator on a scale of 120 efficient hours (5 days) at 9 o'clock and the phases of the moon at 8 o'clock. The 3Hz (21,600 vph) mechanical movement with automatic winding (calibre 1300.3) is also manufactured in 18K rose gold as a tradition for F.P. Journe. 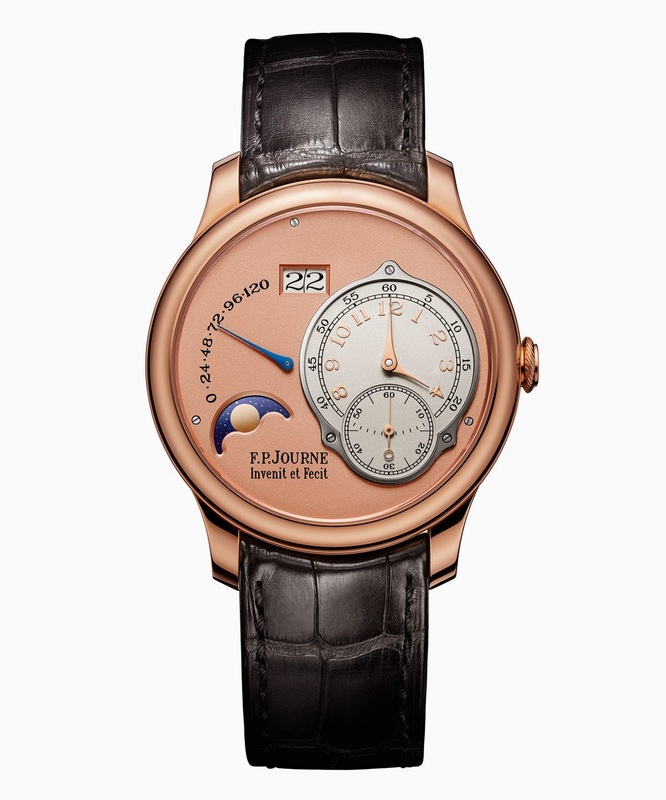 It is winded mono directionally by a guilloché 22K gold rotor. The platinum version!! Just awesome! 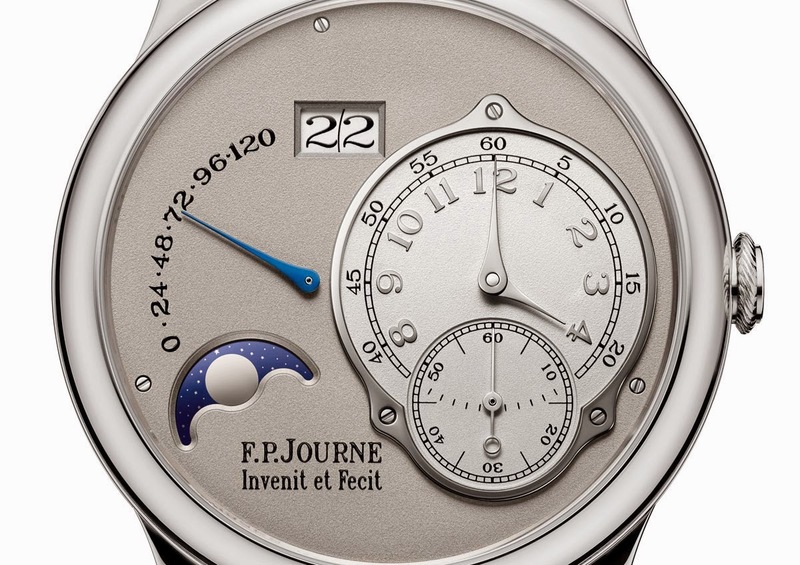 F.P.Journe Nouvelle Octa Lune. This week is rich of watch novelties not just from the Salon International de la Haute Horlogerie 2015 but also from several independent watchmakers. 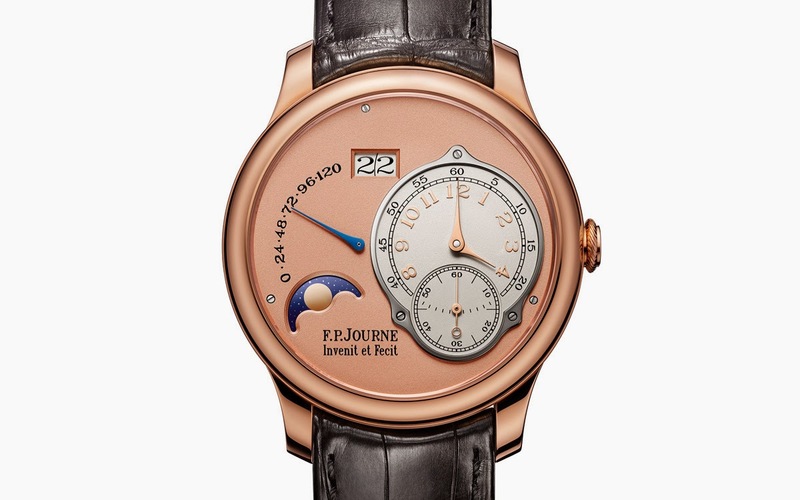 F.P.Journe presented the Nouvelle Octa Lune offering a more visible reading of the time and a date twice as large.The Nouvelle Octa Lune will be available with a case in 40 or 42 mm in platinum or in red gold, a red or white gold and silver dial. 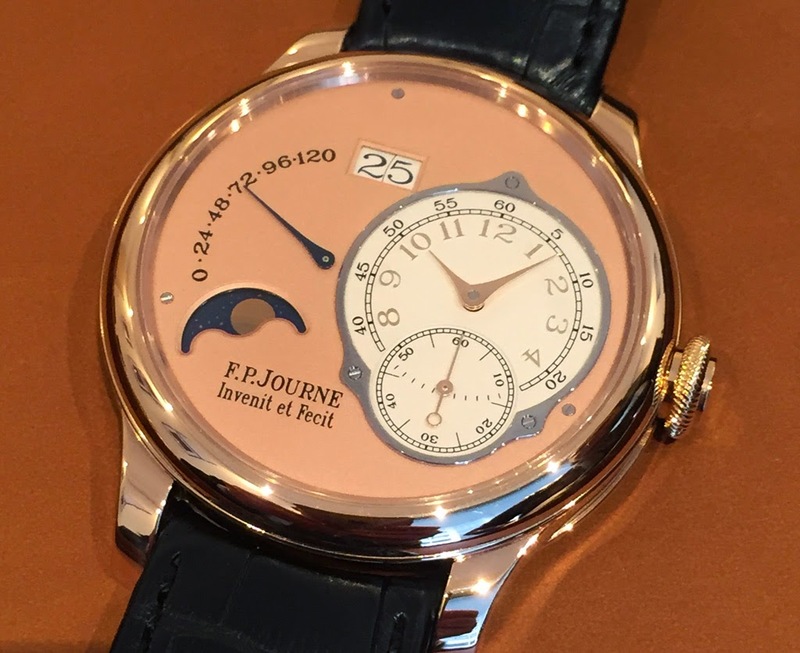 F.P.Journe 2015 novelties.